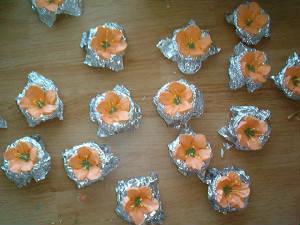 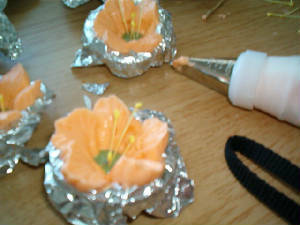 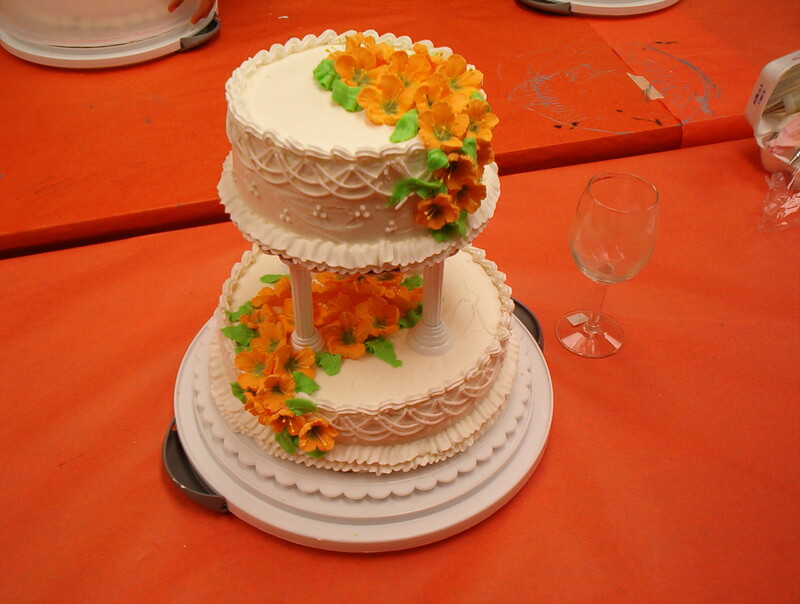 I made this cake in my class. 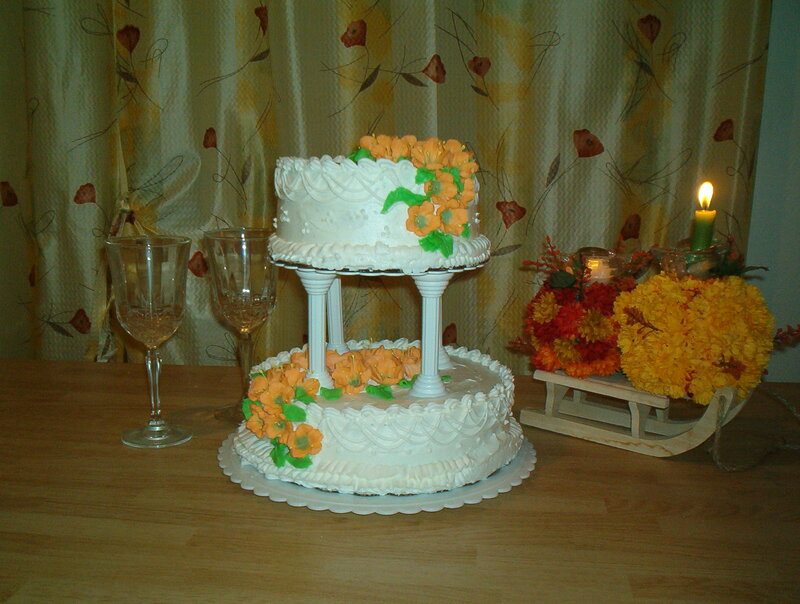 I made my very first two-tier wedding cake. 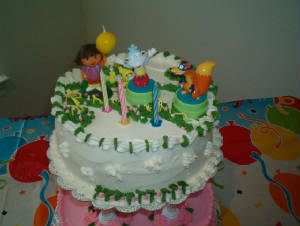 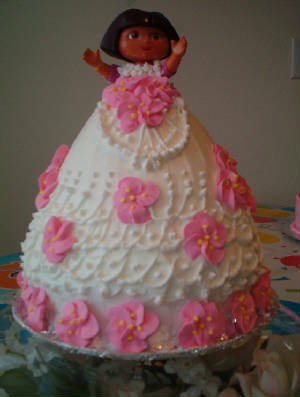 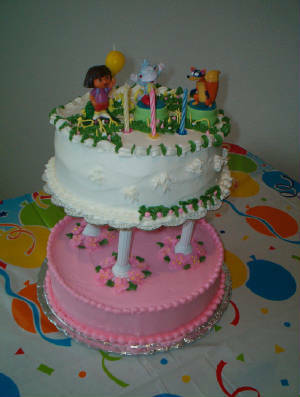 My first Princess Dora Doll cake. 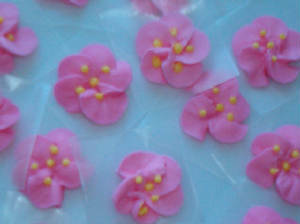 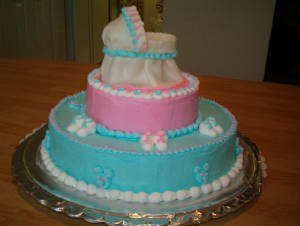 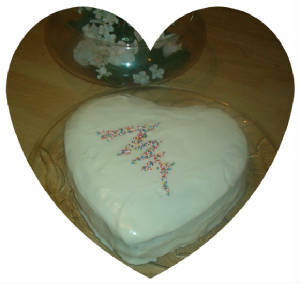 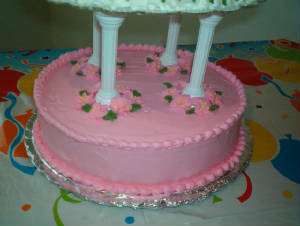 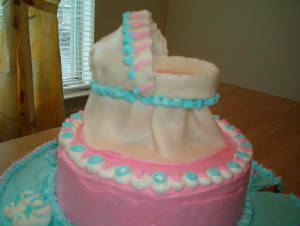 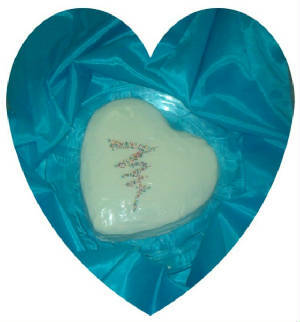 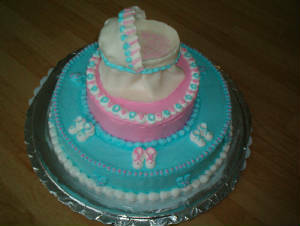 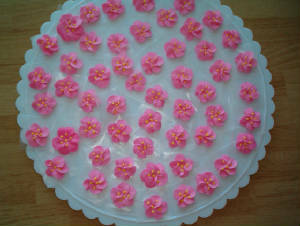 So I made this cake in two colors in fact three colors Pink, Blue and White. 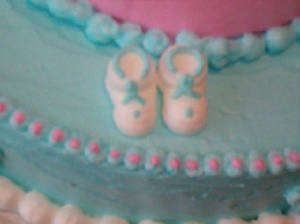 This all decoration is from Butter cream icing like basic frosting, bead borders, baby booties, bear faces and all that little details. 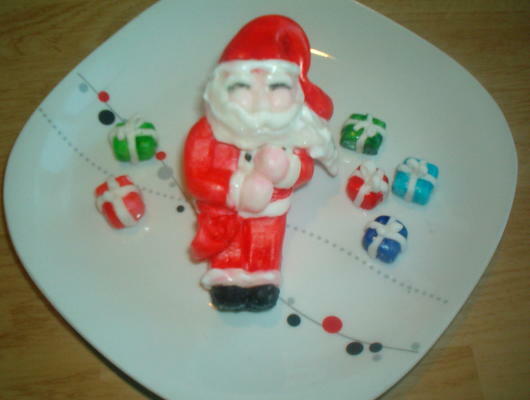 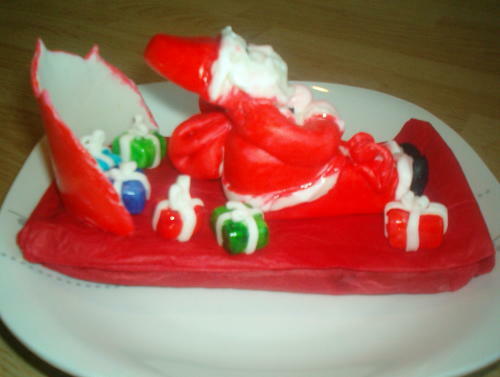 I made this Santa especially for my daughter she is a huge Santa Fan.